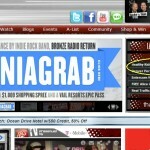 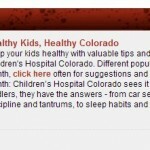 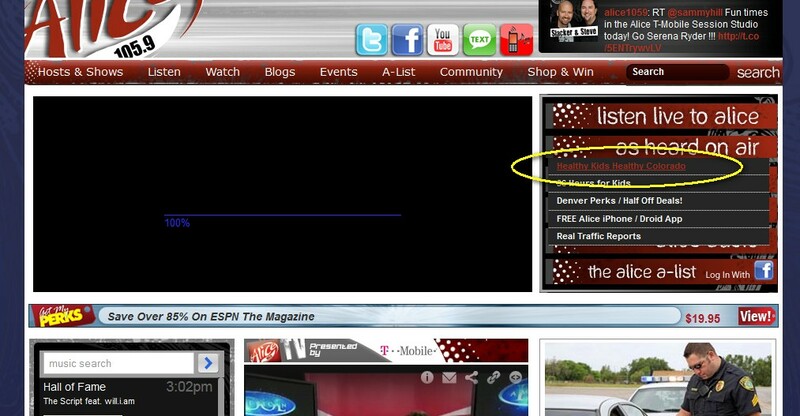 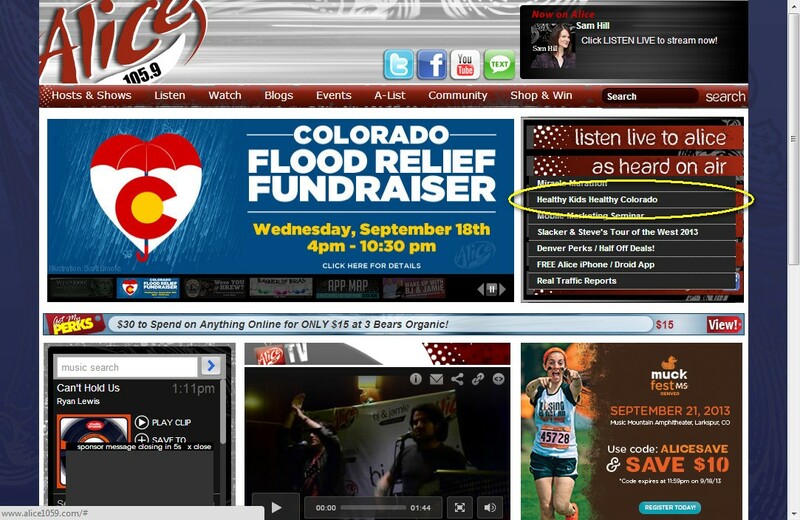 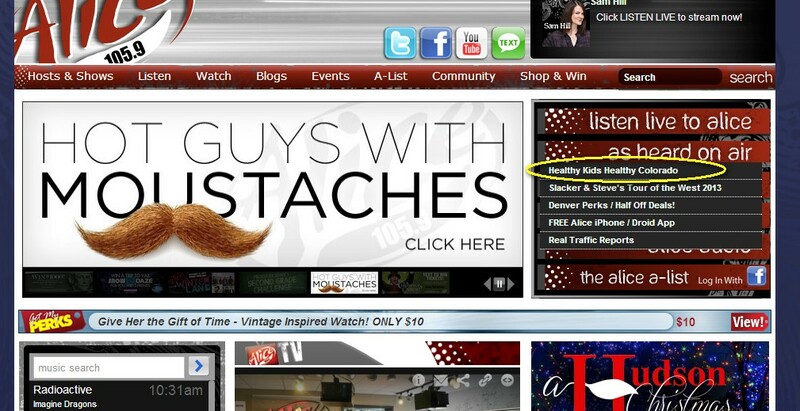 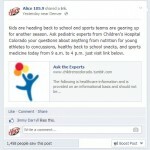 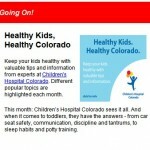 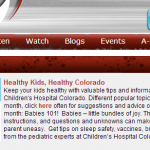 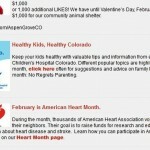 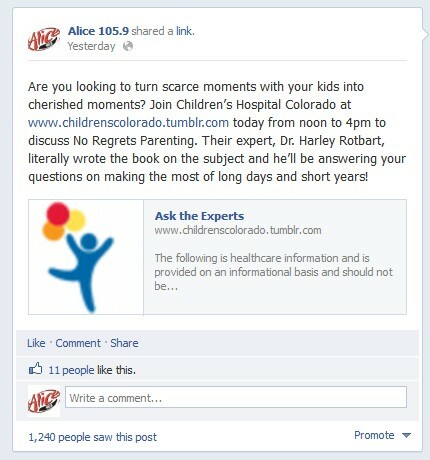 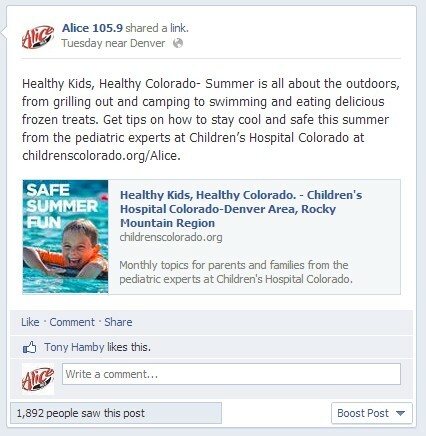 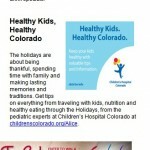 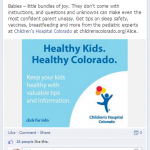 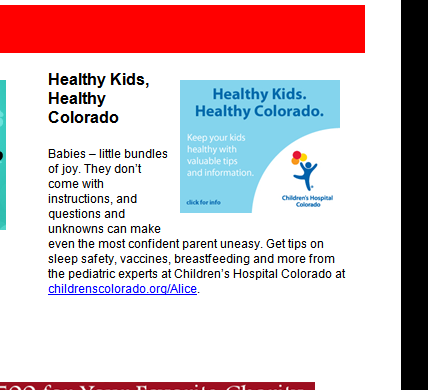 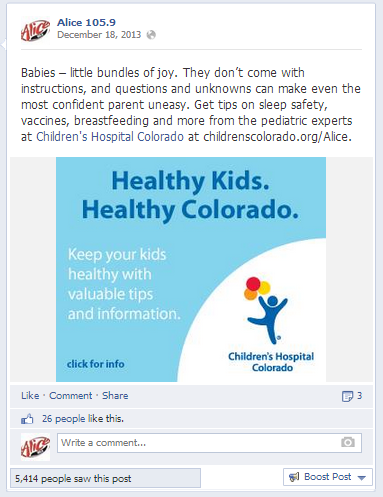 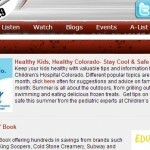 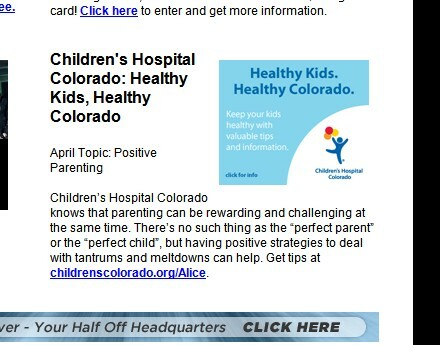 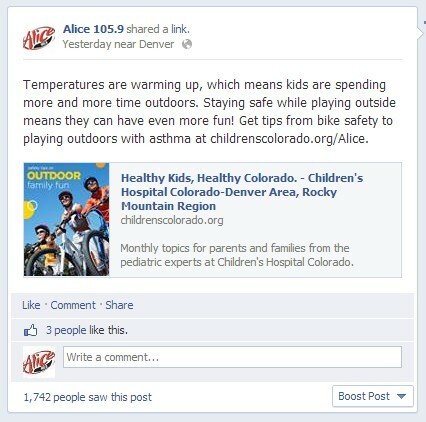 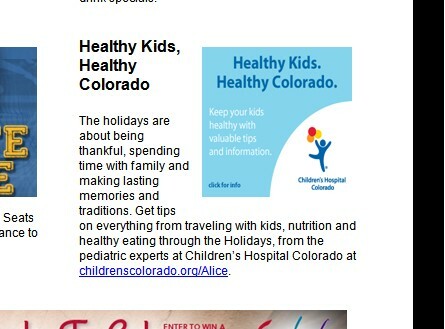 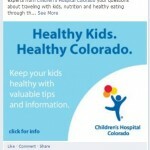 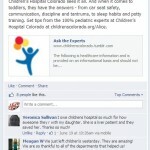 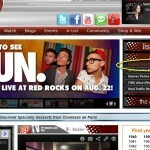 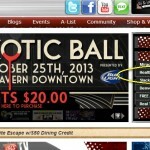 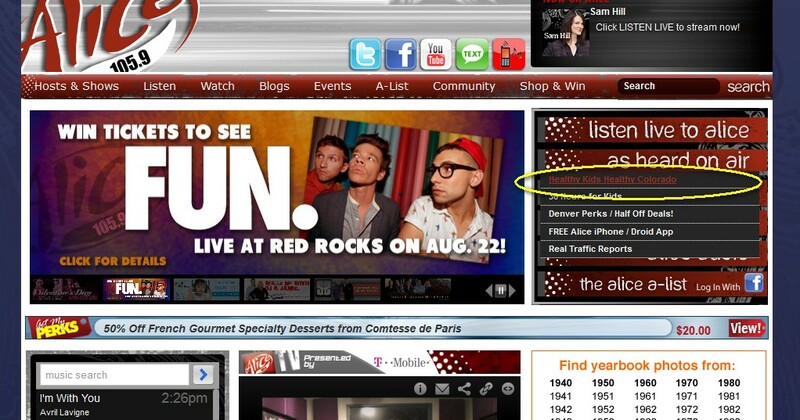 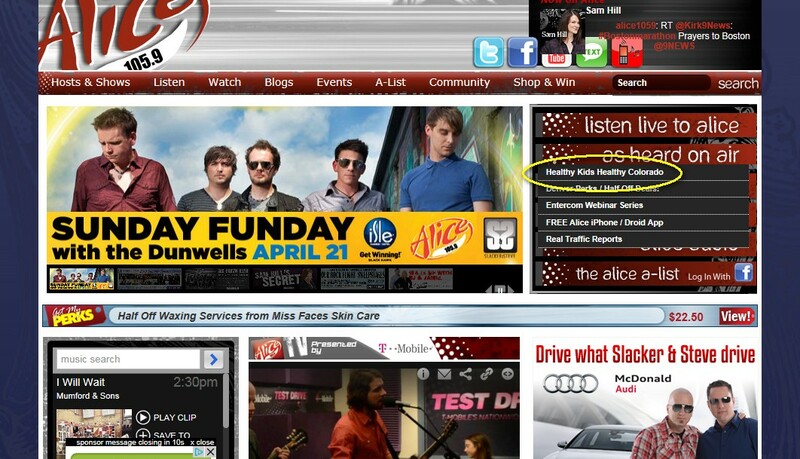 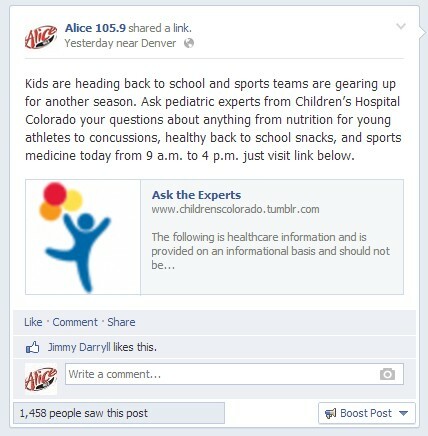 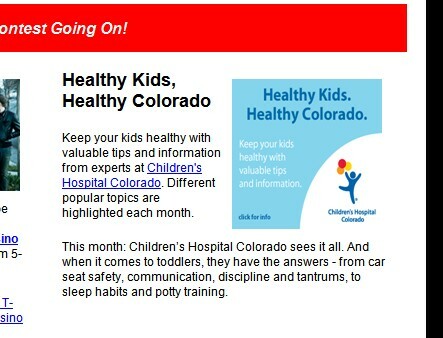 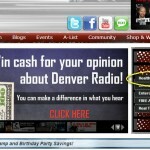 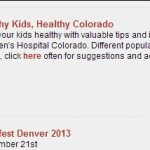 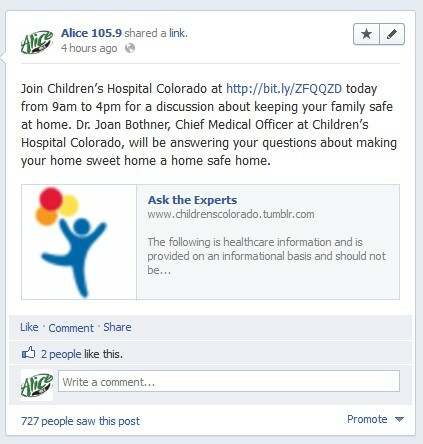 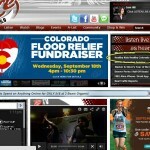 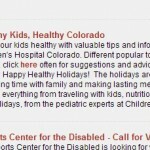 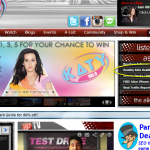 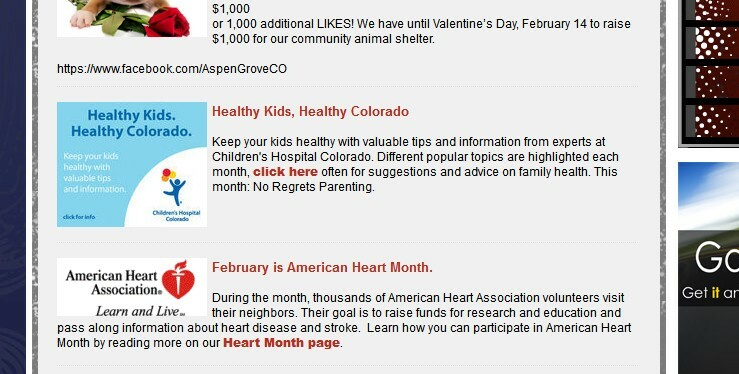 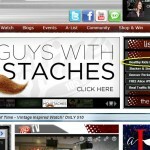 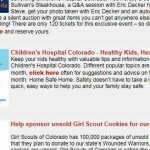 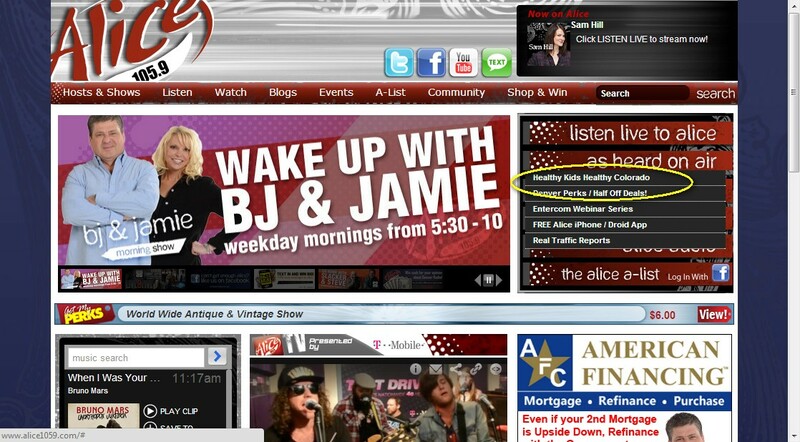 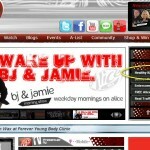 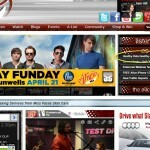 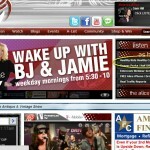 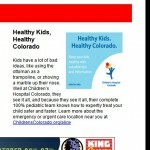 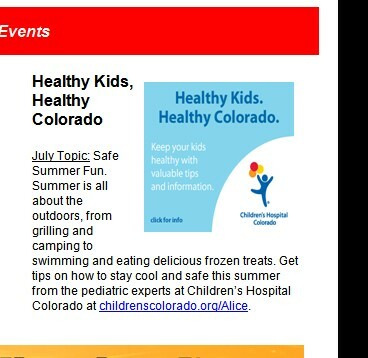 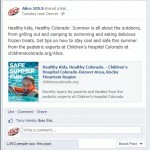 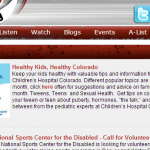 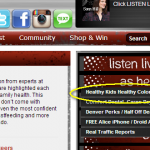 Entercom Denver and Children’s Hospital Colorado teamed up for a on-going content partnership on Alice 105.9 with top afternoon drive personality Slacker as the brand ambassador, disseminating information on a monthly basis that was consistent with the overall Children’s Hospital Colorado messaging strategy. 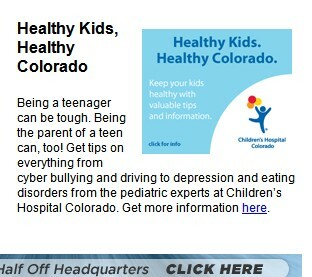 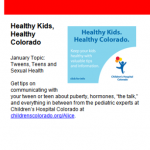 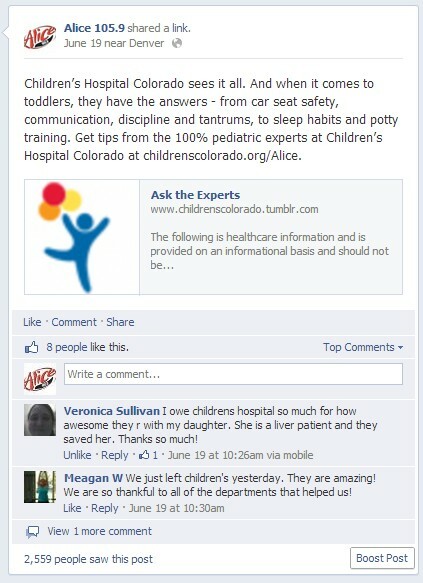 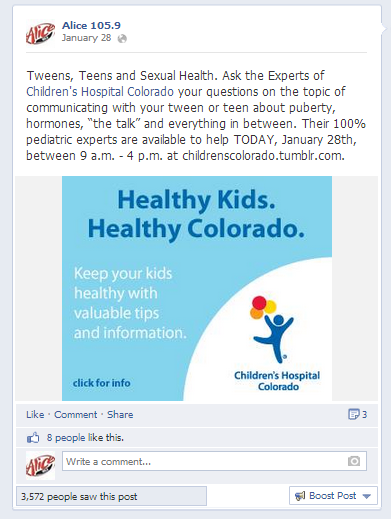 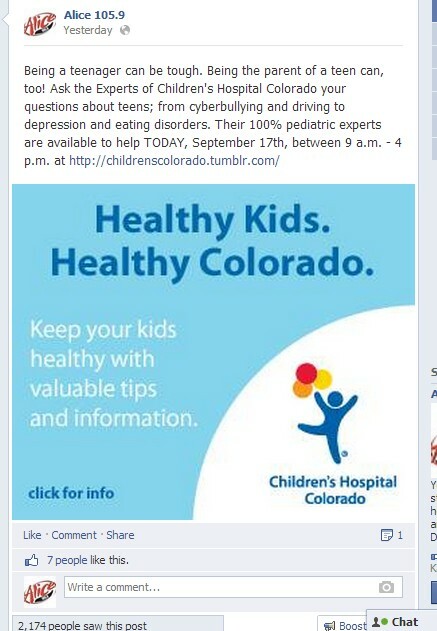 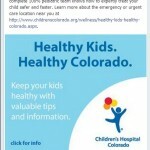 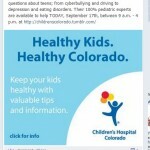 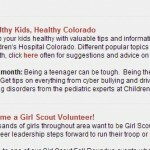 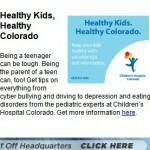 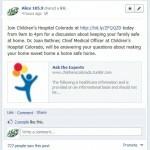 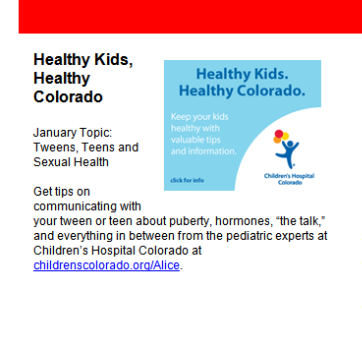 Get tips on communicating with your tween or teen about puberty, hormones, “the talk,” and everything in between from the pediatric experts at Children’s Hospital Colorado at childrenscolorado.org/Alice. 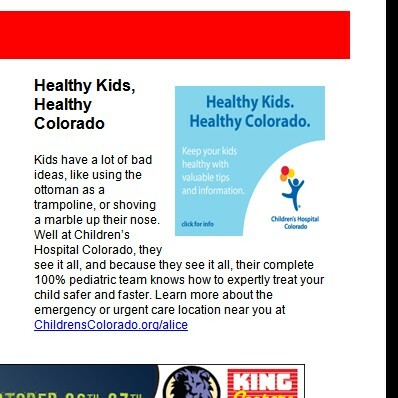 Kids have a lot of bad ideas, like using the ottoman as a trampoline, or shoving a marble up their nose. 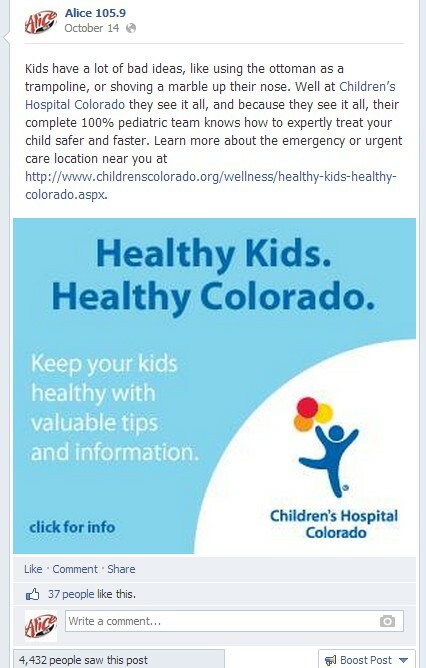 Well at Children’s Hospital Colorado they see it all, and because they see it all, their complete 100% pediatric team knows how to expertly treat your child safer and faster. 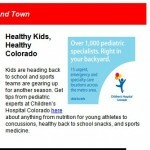 Kids are heading back to school and sports teams are gearing up for another season. 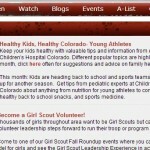 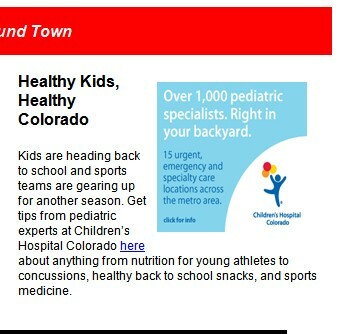 Get tips from pediatric experts at Children’s Hospital Colorado about anything from nutrition for young athletes to concussions, healthy back to school snacks, and sports medicine. 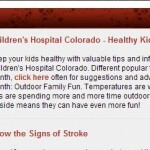 Temperatures are warming up, which means kids are spending more and more time outdoors. 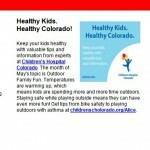 Staying safe while playing outside means they can have even more fun! 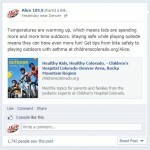 Get tips from bike safety to playing outdoors with asthma. 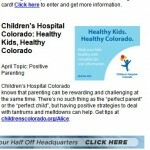 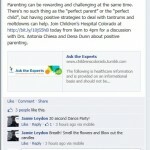 Children’s Hospital Colorado knows that parenting can be rewarding and challenging at the same time. 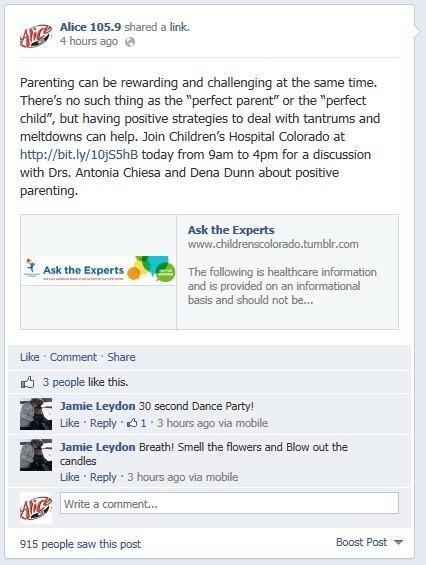 There’s no such thing as the “perfect parent” or the “perfect child”, but having positive strategies to deal with tantrums and meltdowns can help. Your home sweet home should also be a home safe home. 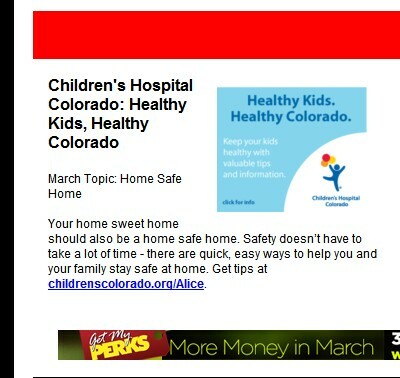 Safety doesn’t have to take a lot of time – there are quick, easy ways to help you and your family stay safe at home. 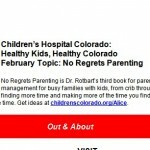 No Regrets Parenting is Dr. Rotbart’s third book for parents, and is about time management for busy families with kids, from crib through college. 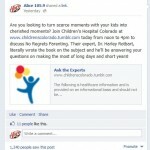 It’s about finding more time and making more of the time you find. 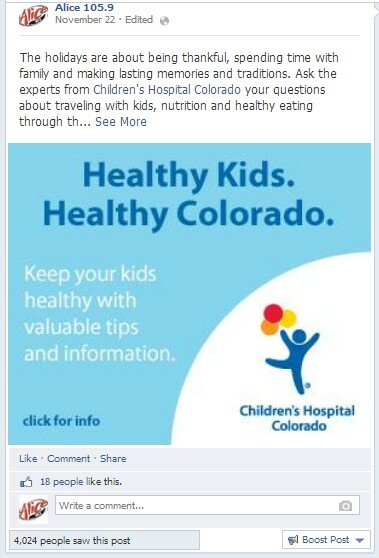 The days are long, but the years are short – and now is the time.